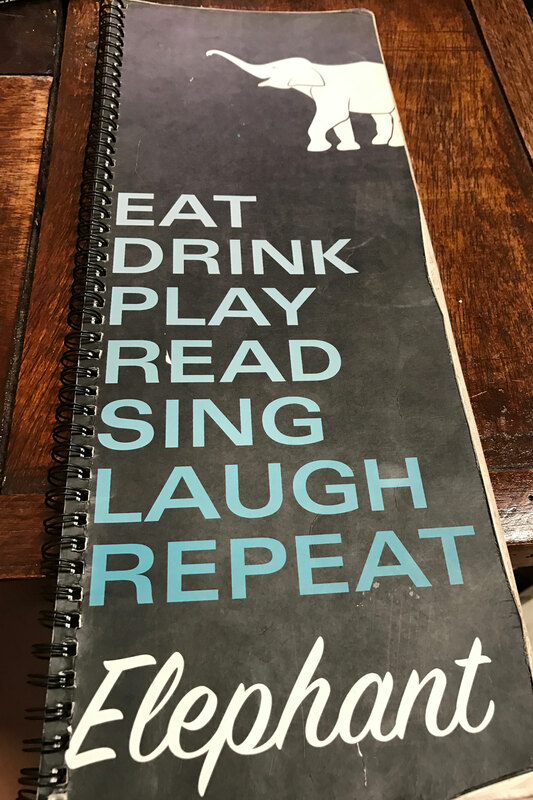 Life should be all about….. 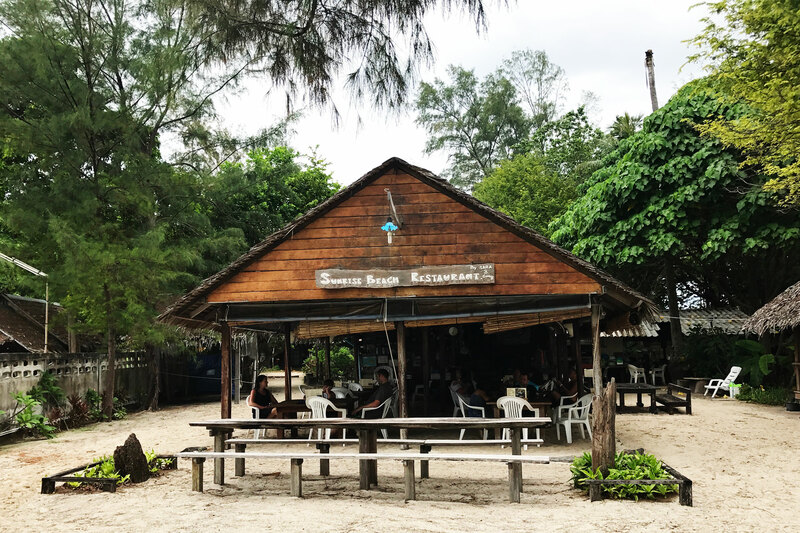 I hope you are hungry and ready to eat because in this post we will be focusing on the EATING part to show you where are the best place to have breakfast, lunch, snack and dinner, in Koh Lipe to keep those hunger pangs at the bay! 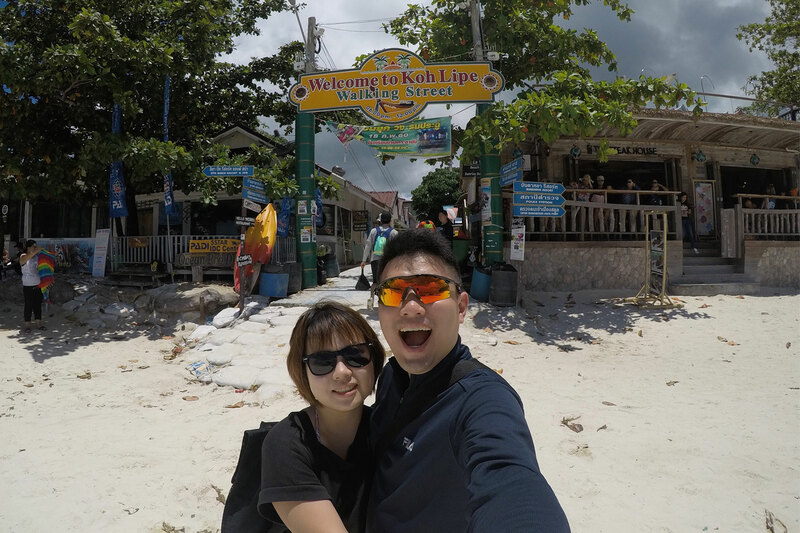 You cannot miss the main attraction on land in Koh Lipe – The Koh Lipe Walking Street! There are bars, restaurants, shops, massage stops, street food, tour companies selling different tours, guesthouses and more! The best time to go is during the night as the street comes alive with all the music and crowds hustling looking for a place to chill or just to fill their stomach. 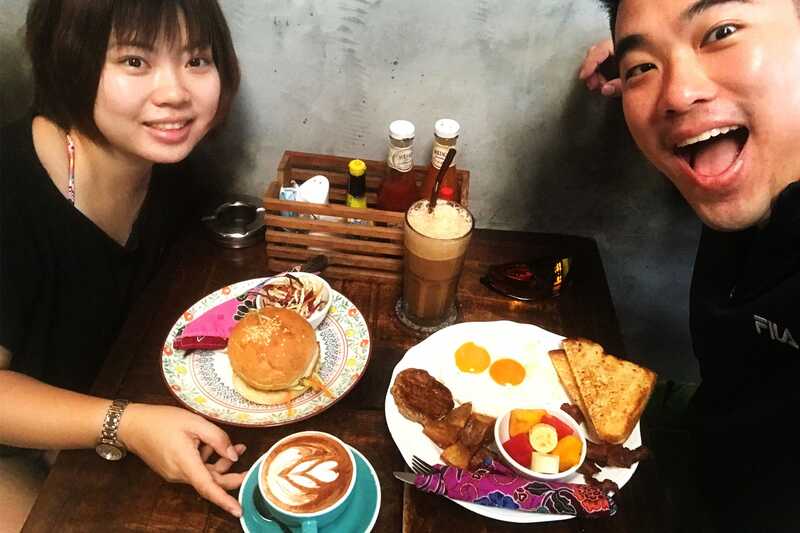 Start your day right, skip the breakfast from the hotel and eat breakfast from a nearby cafe! The best breakfast place to go to is…………………………………………THE ELEPHANT CAFE!!!!! Not that you are going to eat an elephant there but you can surely get a hearty breakfast at the cafe! The cafe is trendy and clean and makes you feel really cosy and welcome to have a meal! 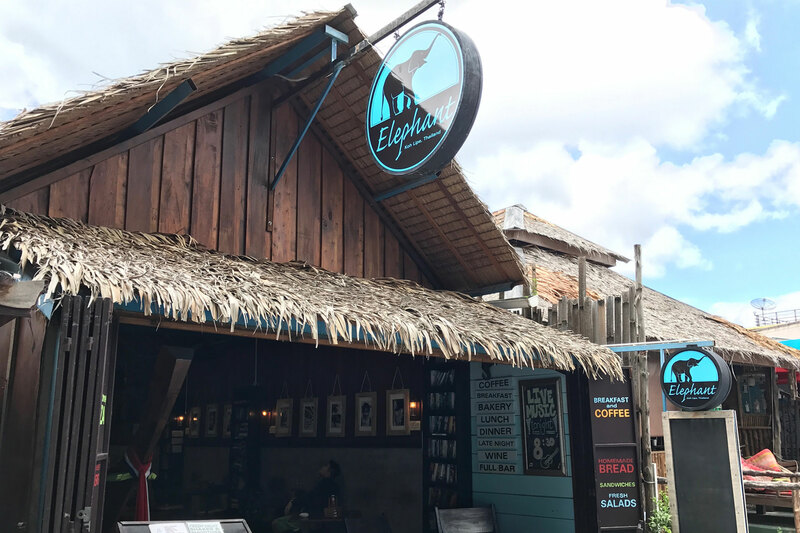 Best Breakfast in Town – Elephant Cafe Koh Lipe at Koh Lipe Walking Street. It is a very peaceful and cosy place to have breakfast or even to read a book and daydream away! They are famous for having the most hearty and delicious breakfast in the street! This place comes alive into a bar during the night and the bartender at the counter is serving the drinks like he is on the long tail boat. 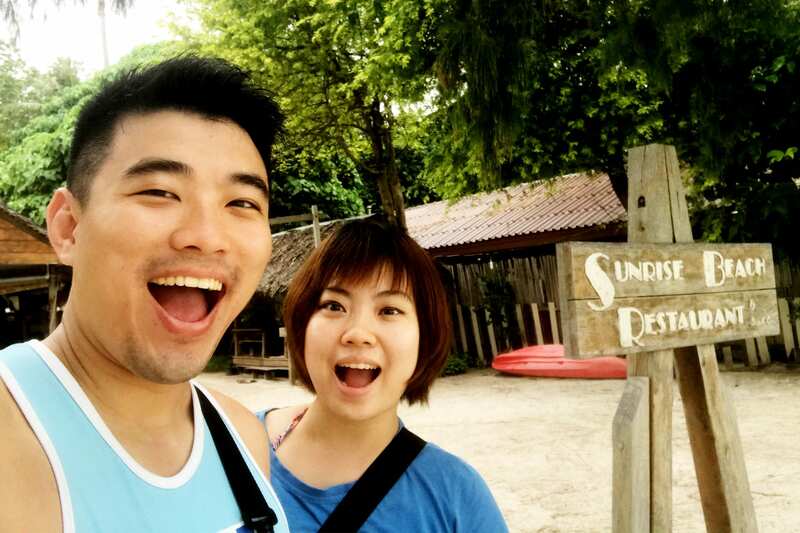 So let’s go into the idle mode together and delve into the Koh Lipe’s slow pace of life! Day Dreaming while waiting for our Breakfast. A Good Day starts with a Good Breakfast! I had the Thai chicken sandwich with Cappuccino! The cappuccino is perfect, just by smelling, you know that it is good coffee and the aroma of the coffee bean still lingers in your mouth after your first sip. Coffee lovers, be sure to comment below in this post what is your favorite kind of coffee! The Thai chicken sandwich is prepared in the form of burger style with a dash of vegetables at the side. The chicken patty was cooked to perfection, the flavors were locked in and the meat was tender and juicy. Sink your teeth into the patty and the juice just spurts out! Norman had the BIG Breakfast Set with Ice Mocha. The big breakfast consists of potatoes, sausage patty, double fried eggs, toasts, bacon and a fruit bowl! Talk about a really big and hearty breakfast yes! Look at how beautiful the fried eggs were done! Needless to say, you have to try the ice mocha as well! Be prepared to wait a while for your food as they really take extra effort to make that the food not only looks good but tastes fantastic as well! P.S Nothing in this blog is sponsored at this moment, the opinions come truthfully from our hearts! 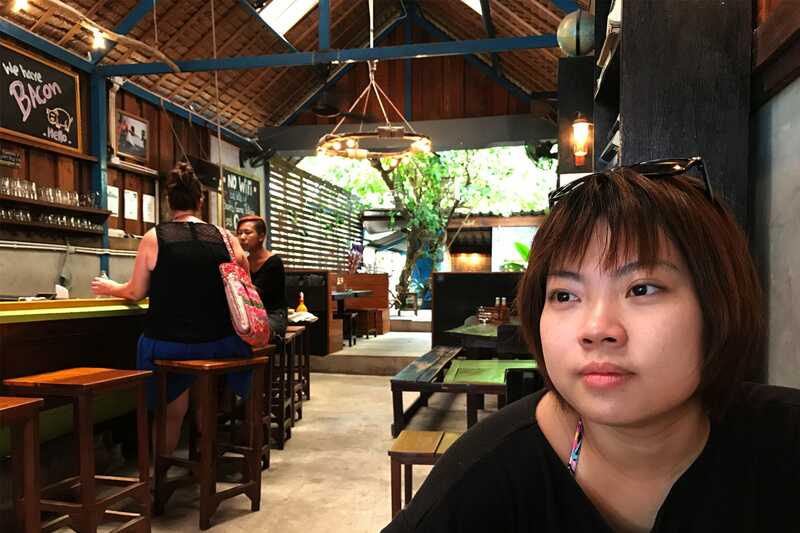 BONUS SECTION : While this post was suppose to be all about food, we decided to add in this bonus section for you so that you can shed off the calories before continuing to enjoy the good food in Koh Lipe. Walk! Koh Lipe is so small that you just walk to wherever you want! The island is just 2km by 1km in size, so just move your legs! If you feel that you need to explore more after walking, just go snorkelling at the beach with your own snorkel gear! While Koh Lipe is located somewhere is the Andaman Sea, there are also a few places that you can go for snorkelling around the area! Check out this link on the best snorkelling spots and which tour company to go with in Koh Lipe! If you are not too adventurous to venture too far out, just rent a kayak from one of the diving shops at Sunrise beach. The cost to rent a kayak is around 10 SGD for 60min and comes with life jackets, do take note some shops do not provide life jackets and they even charge extra for it, so be sure to ask a few shops before confirming your rental. 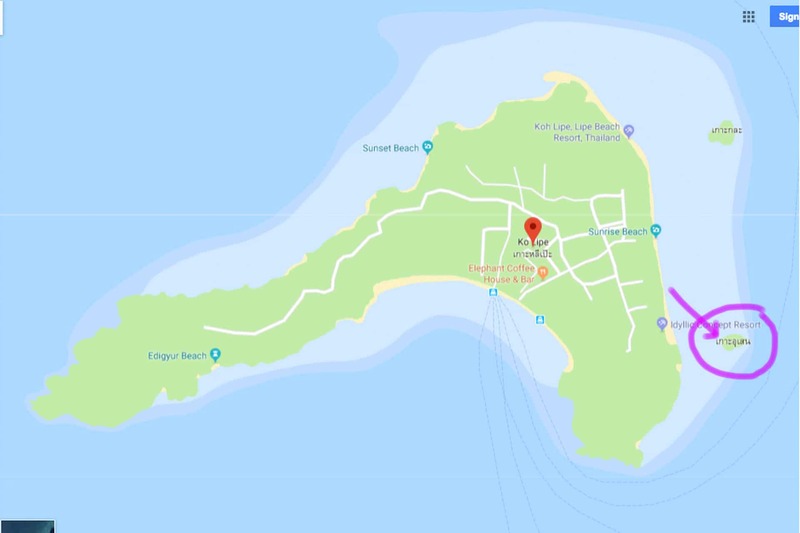 Now with your kayak, just kayak to the small island circled in the map as shown below. 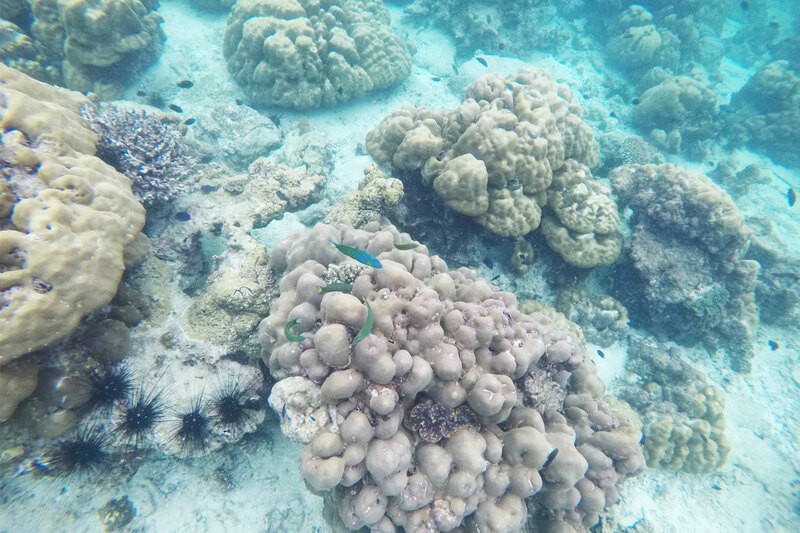 You will find that the water is clearer and there are more fishes and corals to see around the small island! Kayak to Koh Lipe nearby Island for some beautiful corals and fishes! 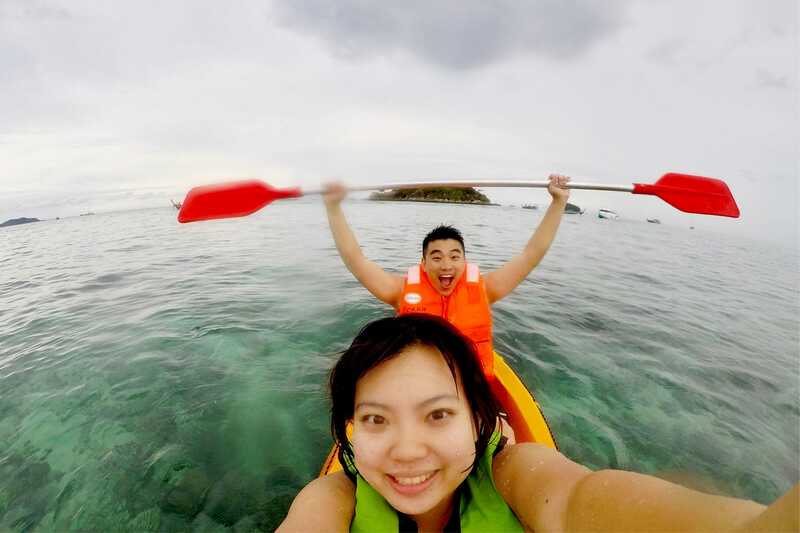 CrazyAdven2ras Kayaking away in Koh Lipe – look at our faces you know we are having fun! Look at how clear the water is! There you are fishy fishy! After shedding off some calories from all the kayaking and snorkelling, it is time to continue eating! The MOST CRISPIEST pancake goes to…………………………………..Madam Yoohoo Pancake! There are various selections for you to choose from for the pancakes, from sweet to salty, take your pick! See the video and you will know why it is the MOST CRISPIEST pancake in Koh Lipe ???????????????????????????????????????????????????????????????????????????????????????????????????????????????????????????????????????????????????????????????????????????????????????????????????????????????????????????????????????????????????????????????????????????????????? We had ham and cheese pancake for savory and the Nutella pancake for sweet! The pancake is so crispy because it is made fresh on spot and then ham and cheese is added after. The Nutella Pancake doesn’t fail either, the lady boss spread the Nutella generously once the pancake is up, making a very sweet crispy dessert for dessert lovers! Remember to look out for the same storefront as shown in the video as there are a lot stalls selling the same thing in the street! Next up, the best place for Lunch is ……………………………….Sunrise Beach Restaurant!???? Sunrise Beach Restaurant Happy Customers! This is our first meal in Koh Lipe after the checking in, located just a stone’s throw away from our hotel! They sell authentic and delicious Thai Food and most importantly, it is located next to the beach! So you can enjoy your food and the view at the same time! Sunrise Beach Restaurant – Casual style of dining! 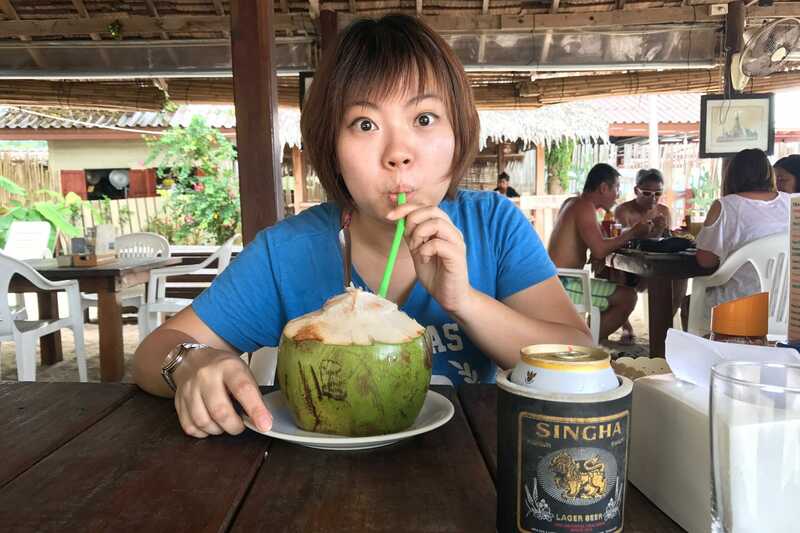 Chilling at Sunrise Beach restaurant!Look at how big the coconut is! You will love the setting of the restaurant as it is set on the beach and facing the sea! Listen to the sound of the waves while enjoying a fresh coconut drink or an ice cold beer Beer! 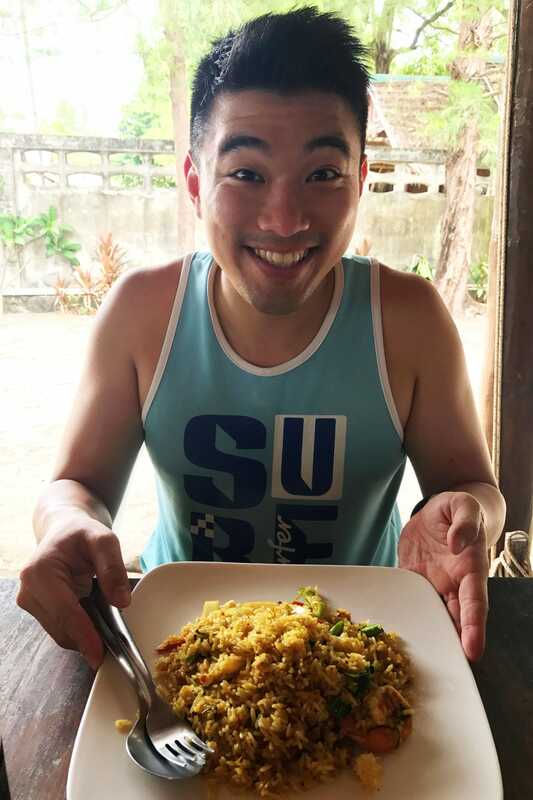 You cannot miss out on Pad Thai and Pineapple Fried rice when you are in Thailand! The most basic dish yet full of flavor! 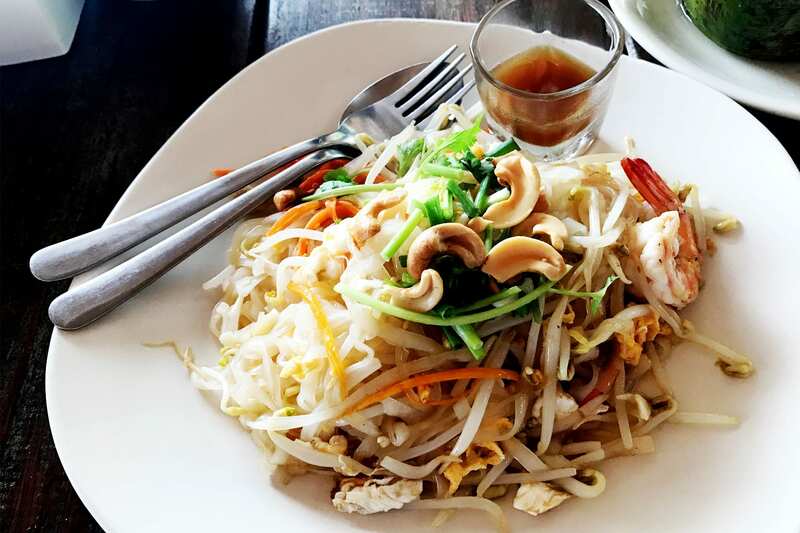 The Pad Thai was fried with bean sprouts, vegetables, prawns, eggs and they added cashew nuts! The special thing was they put the sauce at the side so that you are able to decide how much sauce you want to add to your liking! Talk about being health conscious yeah! While the Pad Thai was excellent, the pineapple fried rice did not fail either. The rice was fried to perfection. Each rice was coated nicely by the color of the pineapple and was not cluttered together. Paired with juicy diced pineapples, lots of chillies and prawns, the dish was simply delicious! Sunrise beach Restaurant Pineapple Rice! 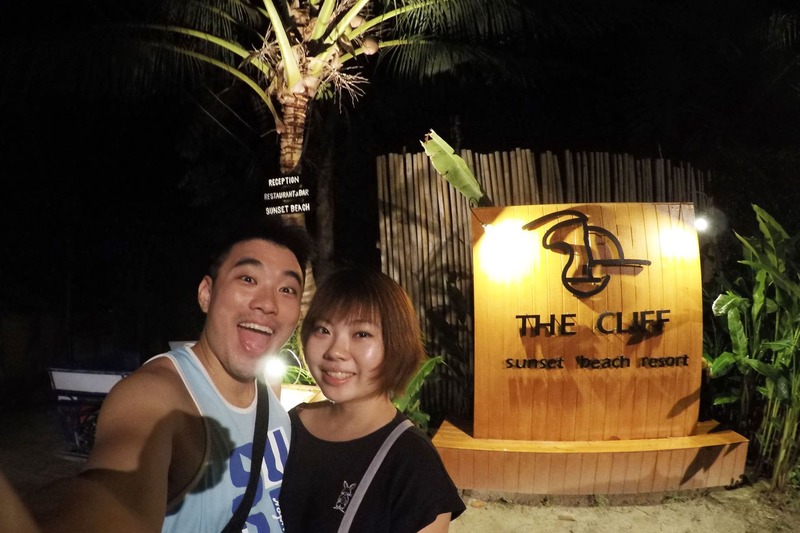 We had breakfast, lunch, snacks, last but not least, the best place to have dinner is at…………………….The Cliff Sunset Beach Resort Restaurant!???????????? Located away from the hustling walking street of Koh Lipe at Sunset Beach, The Cliff Sunset Sunset Beach Resort is the ideal place to stay and enjoy the tranquility of the island. It is a 25min walk from the Sunrise Beach or 10mins by taxi. The rooms at the resort are beautiful and value for money as well! They have an outdor jacuzzi, so you can enjoy the view in the comfort of your room! The room with outdoor jacuzzi will cost about 300++ SGD for a night, compared to our stay near the walking street, you will nee to pay at least 190 SGD more per night for the more private experience. 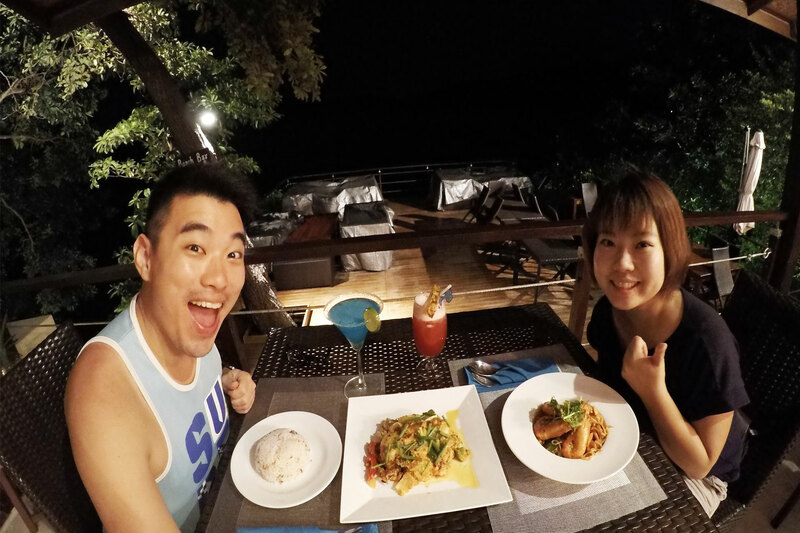 If you are planning to walk to the resort just for dinner, do take note that Thailand time is 1 hour behind Malaysia / Singapore time, so plan your time accordingly in order to catch the sunset while having a romantic dinner! If you are afraid of the dark, do bring a torch light and make sure your phone is fully charged to use Google Maps for navigation. There are no street lights for a certain part of the road, so be prepared to walk under the stars! If you are statying at the resort, besides catching the sunset, there is also another activity for you when night falls, do check out this link to know more! The Cliff Restaurant Koh Lipe Dinner! The restaurant is set in a location such that you can sip your cocktail while watching the sunset. There are both outdoor and indoor seating, so don’t be afraid if the rain should come. With a nice view and nice cocktail, of course if has to come with nice food! We had the Tom Yam pasta and curry soft shell crab with thai steamed rice, we also had Singapore Sling and Blue Martini to pair with our dinner. The Seafood Tom Yam pasta is a bit spicy but flavorful! The seafood is also well cooked, especially the prawns, they were so big fresh! The curry soft shell crab goes so well with the thai steamed rice. It was not that dry and the soft shell crab was succulent and yet crunchy. The bartender was also not stingy with the alcohol in the cocktails too, they were perfectly mixed! To end off the meal, we had the famous, cannot miss when you are in a Thailand country, the mango sticky rice! They use 1 full mango for the dessert. Usually, if you go to other places to eat or you buy from a roadside stalls or shops, they will use only half or 1/3 of a mango. Be prepared to pay more for such a meal in a restaurant setting by the sea, cost around 80 to 100 SGD for 2 person depending on what you order. This is the place to come to if you like snorkelling, chilling and experiencing the beach life! Stay tuned for our next post about the most romantic place to bring your partner to in Langkawi! Cheers!